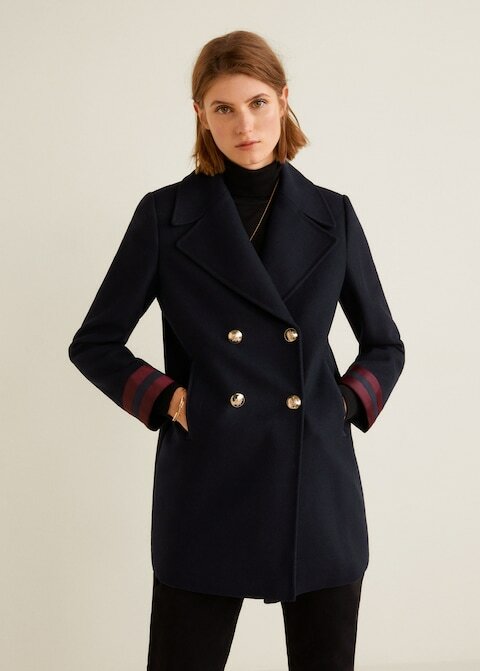 I’m certain the one Ms. Emmanuelle Alt is wearing here costs a fortune, but there are plenty of really chic coats to choose from this time of year, and a whole lot of them (though not all included here) are on sale. 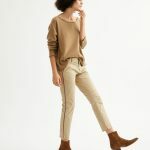 I like to wear mine layered with a zipper hoodie for added warmth and a casual vibe, but they’re really as versatile as you please. 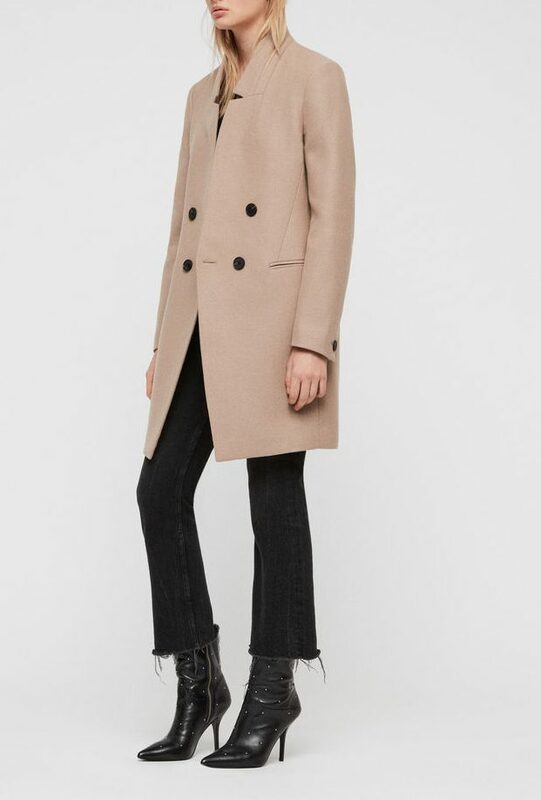 This Allsaints coat is not the cheapest of the bunch, but it’s so well-tailored, and I really like that inverted lapel, or whatever they call that business. 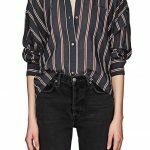 The stripes on the sleeves here remind me of a Helmut Lang coat I bought in around 1995 and somehow. miraculously, still own. 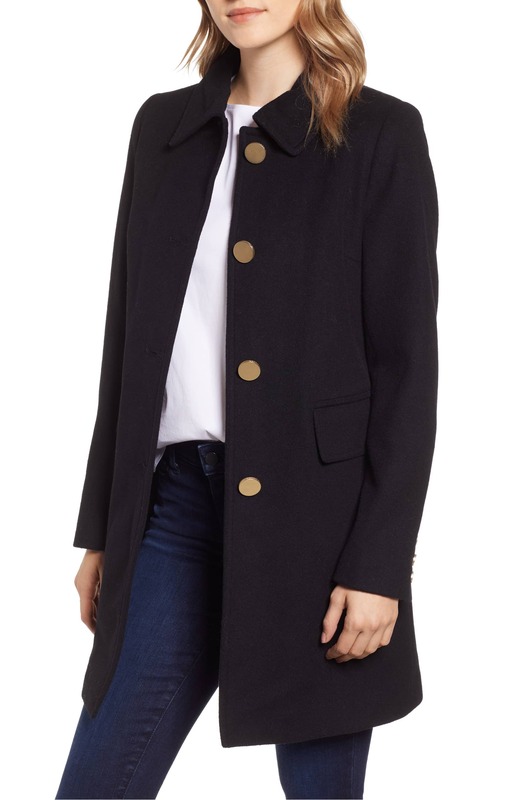 I love a boucle coat and boucle in general—it adds texture to whatever you’re wearing, and can be really elegant—and there is something very slouchy cool about this. A pretty straightforward menswear style, but with nicely feminine lines. 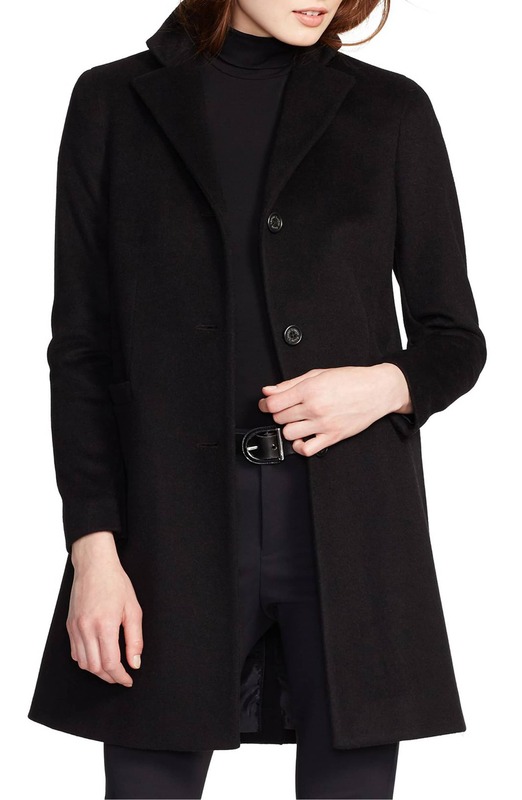 This, wool blend coat has a vaguely cocoonish silhouette, and looks more pricey than it is. 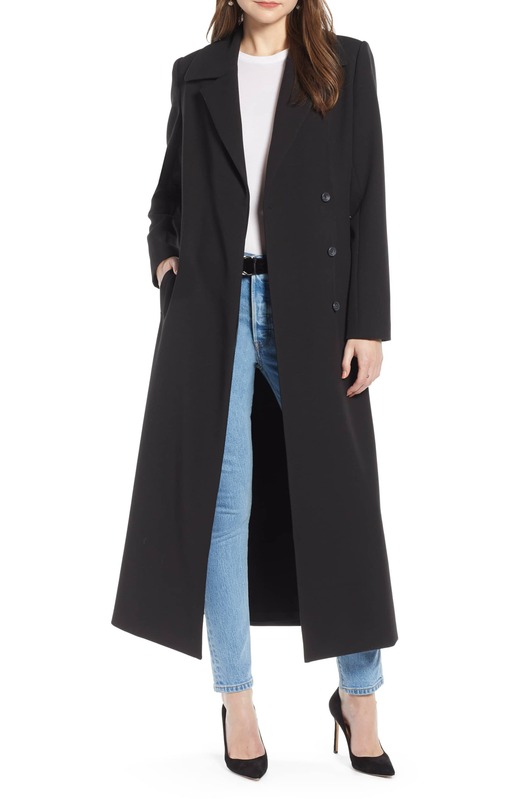 I like a long coat when I wear dresses, because no matter how many times I’m told it’s OK and even chic to have your dress be longer than your coat, it always ends up looking crazy on me. 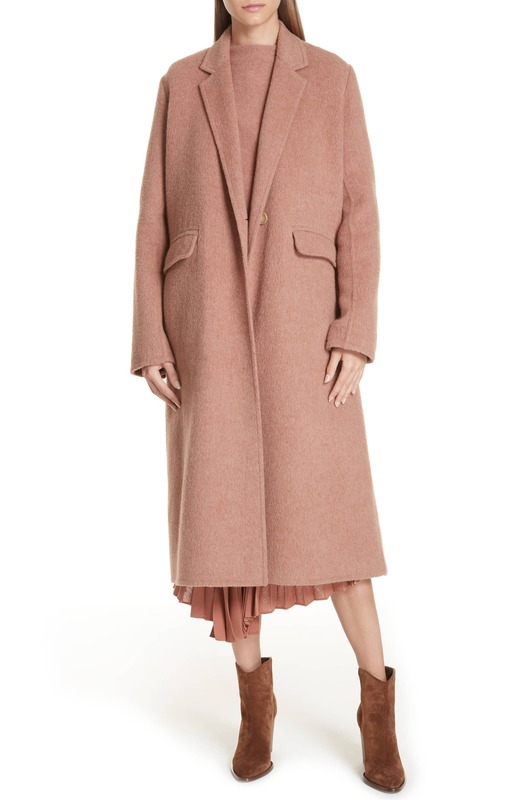 I love the oatmeal hue of this single-button number, stain-prone though it would be in my hands. 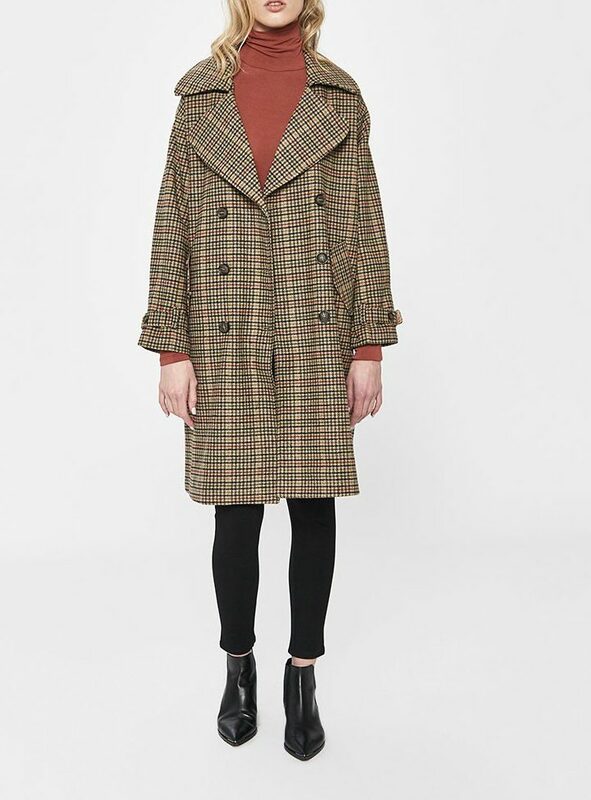 This Vince coat is: 1. Nicely marked down. 2. Such a perfect pale pink. 3. As feminine as menswear gets. 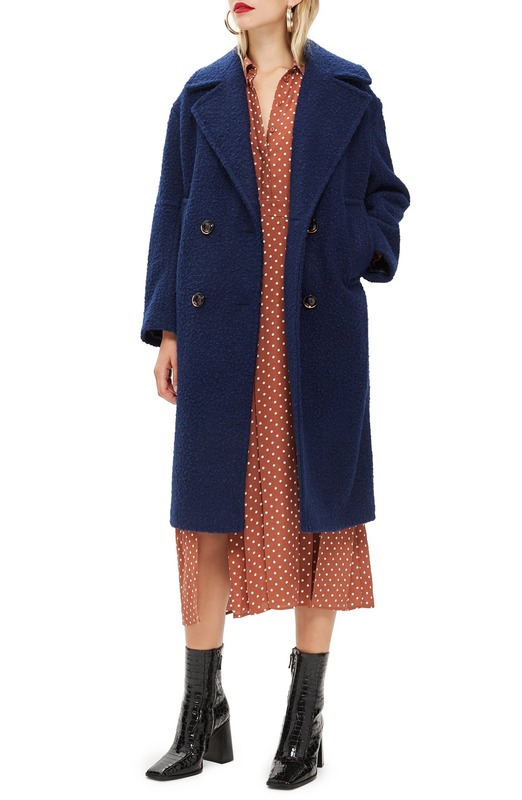 Another super-well-priced option, and the red faux fur collar is aces. This feels very office-worthy, but not in the least bit workaday. 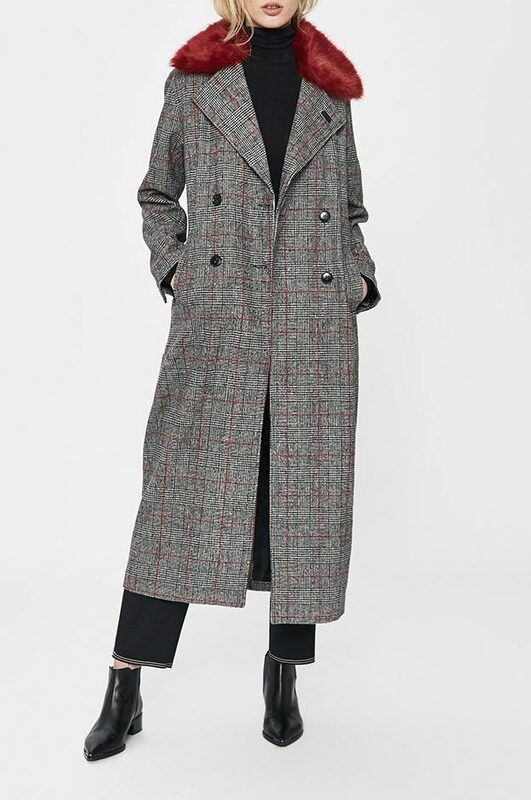 I dig the wide lapels on this checked coat, which is kind of pleasingly loud. A flattering and comfortable A-line style that’d be great with skinny pants. So many good coats! But I was struck by the square toed boots…when did square toes become cool again? So many good coats! But I was struck by the square toed boots...when did square toes become cool again? 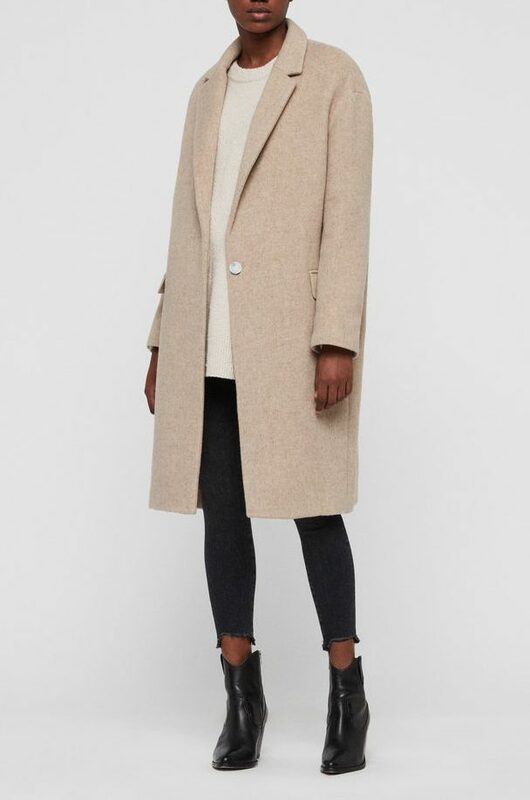 I love coats like these! Not right now, of course. I’m sure I’m not the only one experiencing horrifically frigid temperatures. I’m wasting an inordinate amount of time ordering things online and then returning. I’ll be looking for your picks in the stores! 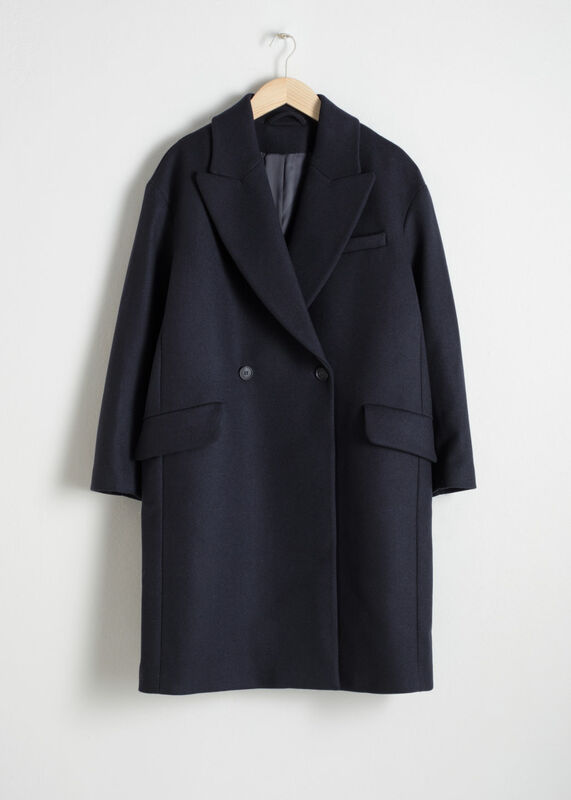 I love coats like these! Not right now, of course. I’m sure I’m not the only one experiencing horrifically frigid temperatures. I’m wasting an inordinate amount of time ordering things online and then returning. I’ll be looking for your picks in the stores!